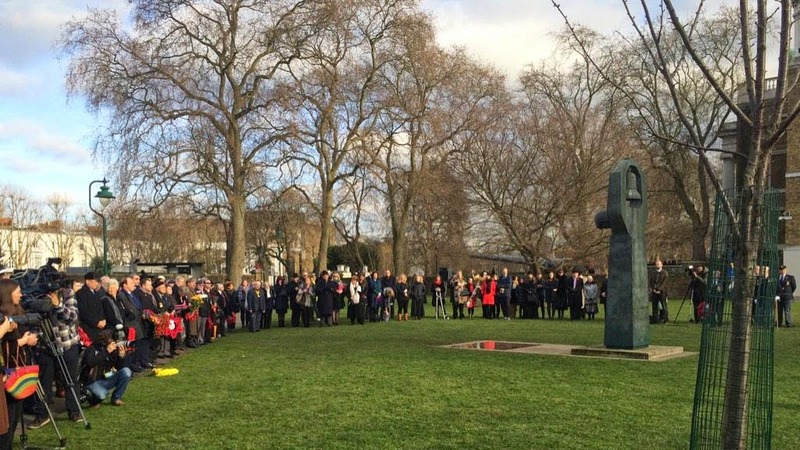 On Holocaust Memorial Day 2015, the presence of elderly survivors at events at the Imperial War Museum and elsewhere is a reminder that the terrible time of the Shoah is still within living memory for some. Seventy years after the liberation of Auschwitz, others would like us to forget it, or to relativise away the systematic mass murder of millions by reducing it to the status of just another atrocity amongst many. Meanwhile anti-semitism certainly hasn't gone away. Only two weeks ago, four people were killed in an attack on a Jewish supermarket in Paris, and this week the neo-nazi Golden Dawn won more seats in the Greek general election. At the 'softer' end, old anti-Jewish conspiracy theories get recycled all over the place and tolerated on the left as well as the right. Last summer in Lewisham, a supposed radical community activist took to twitter to denounce the 'Jewish Lobby' that 'controls [the] media' and 'UK government'. Was he disowned by his political party? Nope. The role of Britain, along with Russia, USA and other allies, in helping to defeat the Nazi regime in the Second World War shouldn't obscure the fact that there has been a strong current of anti-semitism in Britain for the best part of a thousand years (witness the infamous pogrom in York in the 12th century). "MOSLEY THE MAN FOR THE JOB" R.A.M.C. OFFICER'S ANTI-JEW TALK IN "PUBS"
'Captain William John Mitchell, R.A.M.C. (29), formerly in practice as a doctor in the New Cross area, London, appeared at a court martial at Broadstairs, Kent, to-day, on three charges alleging conduct prejudicial to good order and military discipline. It was alleged that in a public house the man said. "I give you a toast. We will drink to the health of Sir Oswald Mosley." When the licensee's wife declined, it was alleged he said, "Why not? He's a wonderful man. If you have cancer, a doctor would cut it out. That is what the Germans are doing to the Jews in Germany. Germany is a most cultured nation." The second charge alleged that in another public house, accused said, "Hitler is doing the right thing having the Jews put out of the way. Churchill is hand in glove with the Jews, and not fit to be Prime Minister. Mosley is the man for that job." In court, Mitchell said, "I am convinced I am the victim of Jewish persecution. No punishment in the world can erase those views from my mind". Mitchell also claimed that the Beveridge health proposals - that became the National Health Service - were a Jewish plot: "I know in this country the Jews are trying to get control of the medical profession. The system outlined in the Beveridge Report is merely a system to make the medical profession this country safe for Jewry." The court martial dismissed Mitchell from the service (Hartlepool Mail - Friday 07 May 1943) and I am not sure what became of him, other than a press report I found from 1949 of Dr. William John Mitchell of Queens Road, New Cross being charged with a motoring offence (Kent & Sussex Courier - Friday 09 September 1949). Intriguingly another New Cross doctor of a similar name stood for election for the National Front in 1979, as discussed at Transpontine previously: 'Dr Robert Mitchell, who has a surgery in Queens Road, said yesterday he would advise his patients against mixed marriages only if asked for advice. He also believed in repatriating black people. Dr Mitchell polled 1,490 votes when he stood as National Front's Parliamentary candidate in Deptford last year'. Lewisham Labour Councillor David Townsend said 'We must take an urgent look at how a doctor with such appalling views can be allowed to practice in such a racially sensitive area as New Cross' (South London Press 22 April 1980). Captain Mitchell referred to above would have been 65 years old by 1979, so could have still been around. He has a different first name, but could these two Mitchell nazi doctors from Queens Road be related? Sickening, but it also shows that on 2 April 1943 ordinary people in Britain (well, he wasn't ordinary, but you see what I mean) were well aware that the Holocaust was taking place. Not just the government, which could have done something about it (but didn't) but the general public. That explodes all the myths that it was all happening in secret and no one could have known. Regarding the doctors Mitchell there were three practising in New Cross with that surname the two mentioned in the article as well as a lady who I believe was a sister. They had surgeries in Queens Rd ( where there still is a surgery today) and in New Cross Rd (opposite the entrance to the bus station). They were all very popular doctors in the New Cross area after the war. Being born in 1940 can't really say anything about their beliefs! The Mitchells were well known GP's in New Cross after the war and they had 2 surgeries one at the end of Queens Rd and the other in New Cross Rd opposite the entrance to the bus garage. If I remember rightly there was a sister also a GP. Captain Mitchell practiced medicine till his death a few years ago. After tge War, he married a German lady but was not friendly with his siblings, all of whom served faithfully and honourably during the War. He was a lone bird. Dr Alexa Mitchell married Dr John Evans of Lewisham, UK. She died from cancer in 1959. She and her physician-brothers had no contact with William who was an outcast because of his fascist ideas from his university days. The family were never in agreement with him. His dad also Dr Wm., felt disgraced but William worked diligently as a civilian doctor in London hospitals during the war, kept his mouth shut znd was never locked up. Their grandfather William Mitchell was Postmaster General of Aberdeen and received the key of that city about 1904. His father, William Mitchell was the famous Scottish ship builder for the Royal Navy ships in re: Mitchel-on-Tyne.